Leonard Lopate is the host of the Peabody Award-winning WNYC’s “The Leonard Lopate Show”. Every week day from 12:00pm to 2:00pm, New Yorkers explore literature, art, culture, food, and life in and around the city with Leonard Lopate as their guide. 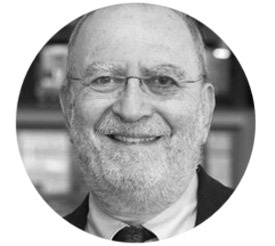 In addition to his work with WNYC, Lopate makes frequent appearances as an interviewer and moderator at the 92nd St. Y, Queens College, Brooklyn College, the Brooklyn Public Library and other major venues throughout the New York Metropolitan area. Lopate’s career in radio began in 1977 at WBAI. For many years, he was the host of WBAI’s program “Round Midnight”. Before radio found him, Lopate worked in advertising as an art director and copywriter.